Please join us in reaching out to our Congressional delegation to urge them to oppose efforts weaken the Johnson Amendment! 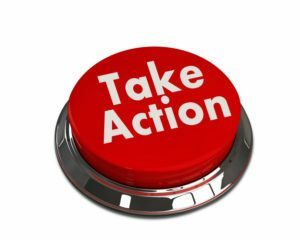 In the next few days, Congress will be wrapping up huge, year-end legislation that could include language damaging to your nonprofit and the people and community you serve. Language was attached to a spending bill in the House that would make it virtually impossible for the IRS to enforce the law (the longstanding Johnson Amendment) that protects charitable nonprofits from partisanship. The anti-Johnson Amendment language in the spending bill must not be included in any bill that gets voted on this month. Remember to put a period before the twitter handle. For more than 60 years, a part of the federal tax code known as the Johnson Amendment has successfully shielded charitable nonprofits, houses of worship, and foundations from demands from politicians and donors to endorse candidates for public office or to divert charitable assets to campaign coffers. The longstanding Johnson Amendment accomplishes this by limiting tax-exempt status and the ability to receive tax-deductible charitable donations only to organizations that refrain from participating or intervening in any political campaign on behalf of or in opposition to any candidate for public office. The broad 501(c)(3) nonprofit community – frontline charities, churches, and foundations – stands strongly united in support of the federal law and in opposition to efforts to politicize the charitable sector for partisan and financial gains. You can learn more about this important issue at www.GiveVoice.org.